How often do you struggle to find the right kind of attire to make yourself fir into 2017 fashion trends? Or let’s take it the other way round, How many of you don’t actually know what’s come up this 2017 in regards to Mens Fashion Trends? With the changing of seasons from summer solstices to the upcoming Winters, our wardrobes need to be refreshed as well. Thanks to the extravagant show put up by the world famous and our mentor designers at New York Fashion Week 2k17, we have finally found the latest Autumn/Fall Collection for this year. We have so much to share with you guys regarding Mens Winter Fashion, that you and your Wardrobe would literally thank us later after you reach the end of this article. Being warmer as they sound, they are even more stylish to carry off. Knitwear pullovers are catching the eyes of so many, celebrities after the NYFW17 that many celebrities talk show hosts, guests have been seen carrying this knitwear stuff lately. 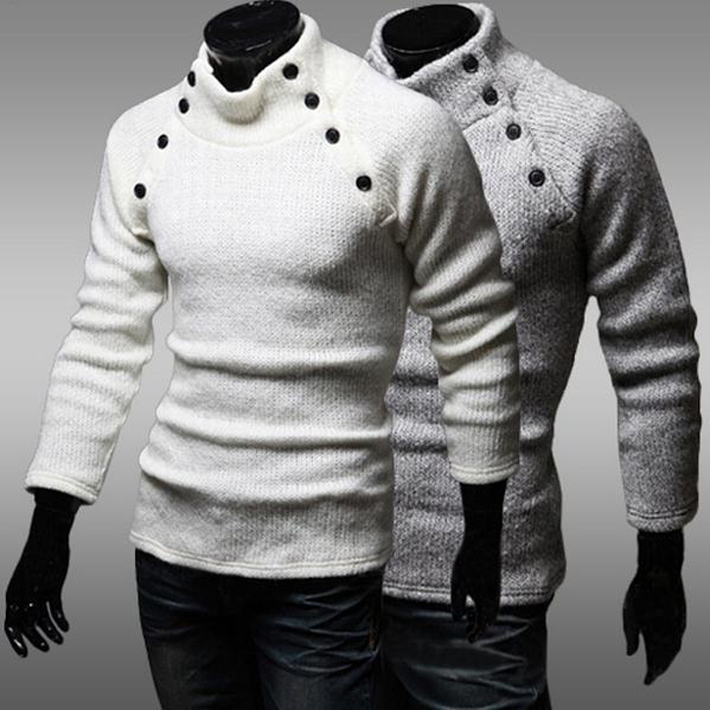 Knitwear has become quite common and influential clothes to carry off as an airport look. If fashion could speak, it would speak volumes about himself and his ideologies. The Statement fashion trend, with all those voice bubbles hanging out, and little emojis woven across pants, shirts, T-shirts, Sweaters, Cardigans, Pullovers, Overcoats and everything that can be worn. Vertical styling trend was once laid back into the 90’s. Thanks to the designers cause this trend has come back with a bang on little evolution and yet gives us the true retro feel. Big brands are mostly using these vertical stripes in pants, shirts and formal coats, somewhat casual wear has also come along in these like full sleeves shirt and stuff. For those who love the leather are all set to see a new revolution when these are going to be used as mainstream totally formal leather trousers. People often regarded them as informal not for formal wear, but since these are not pure leather and a mix of latex and leather, these tend to look for comfortable and stylish for office wear. 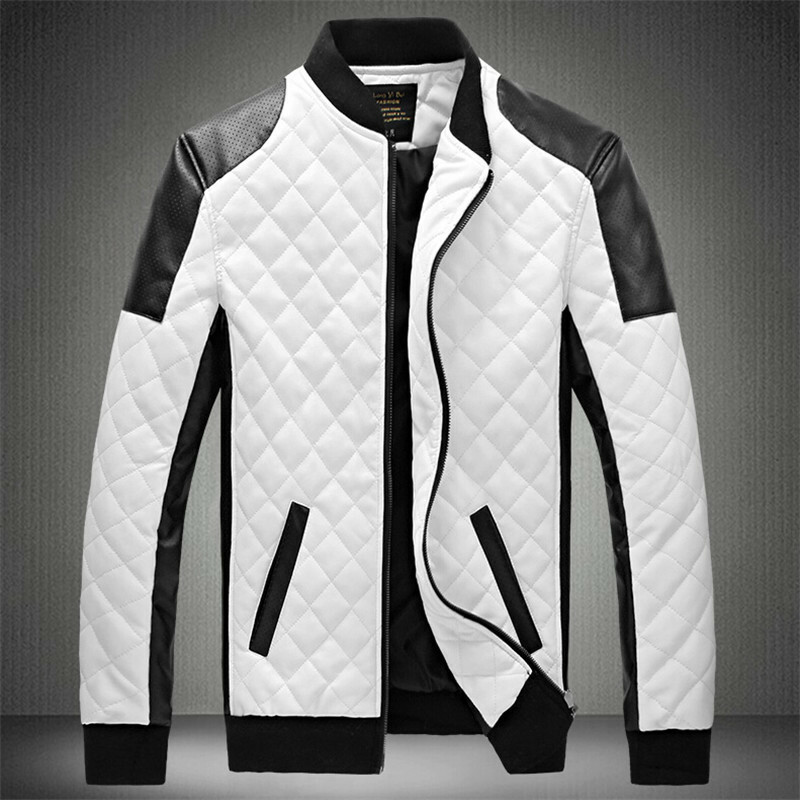 This monochrome thing started from the very basic female fashion end and finally submerged into the Mens fashion and lately is seen in all over the world fashion market as in jackets and full sleeves shirts or T-shirts. Monochrome can be carried off for both formal and informal gatherings, making it worth the style quotient. For a long decade military style was out of fashion, yet seen only in track and sweatpants. And lately, it came back in at the time of this year Fall collection show in New York City. These military pattern styles are seen in jackets, sweatshirts, full sleeves shirt, etc. You can easily make them formal or informal depending upon the lower you carry off with these. Something that typically seemed impossible has possibly become the talk of town this year. 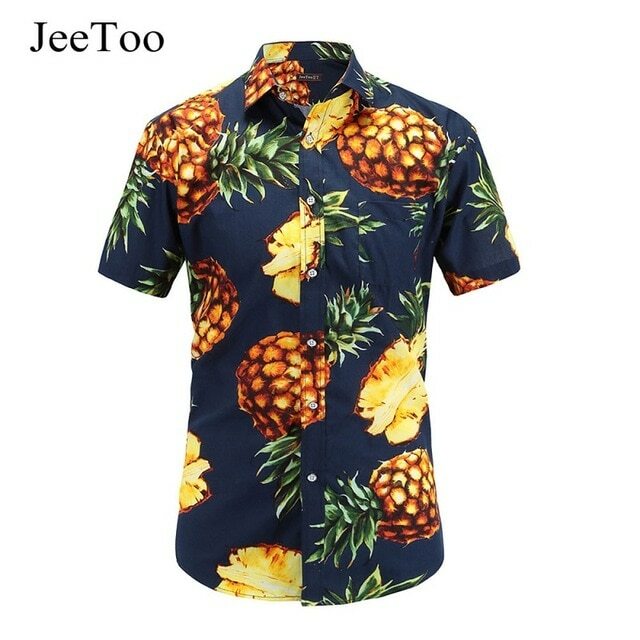 Men are going gala behind the full-length, full-sleeve shirts all in Hawaii printed patterns of leaves, flowers, shells, coconuts, sea-waves, etc. Considerably Bomber Leather Jackets, is what we are discussing out here. The normal ones never went out of fashion, but these over-sized cool ones look so well, that it enhances the personality of anyone wearing them. Prefer buying them in colors like navy, gray or neutrals. Considering Kanye West not coming to NYFW17, why to leave behind the ultimate Denim Jackets, that is making men and women go gaga behind them. They are warm yet stylish and are available in different shades of Denim so you don’t have to stick to a particular stereotype. So here you are with the top 9 fashion trends this season for making your wardrobe totally according to Mens Winter Fashion 2017 trends. 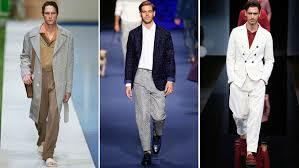 Since you need somewhat more of an information, we have so much more feel free to explore our other articles on Latest Fashion for men.